This year marks a landmark moment in songwriting history as PhilPop opened its doors to entries written in different languages, spanning across regions and cities outside of Metro Manila. 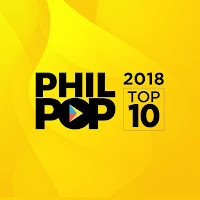 This year's finalists offer a diverse crop of entries that represent different musical styles, ranging from contemporary hit music to folk, latin-flavored pop to R&B/soul, rock to easy listening music. 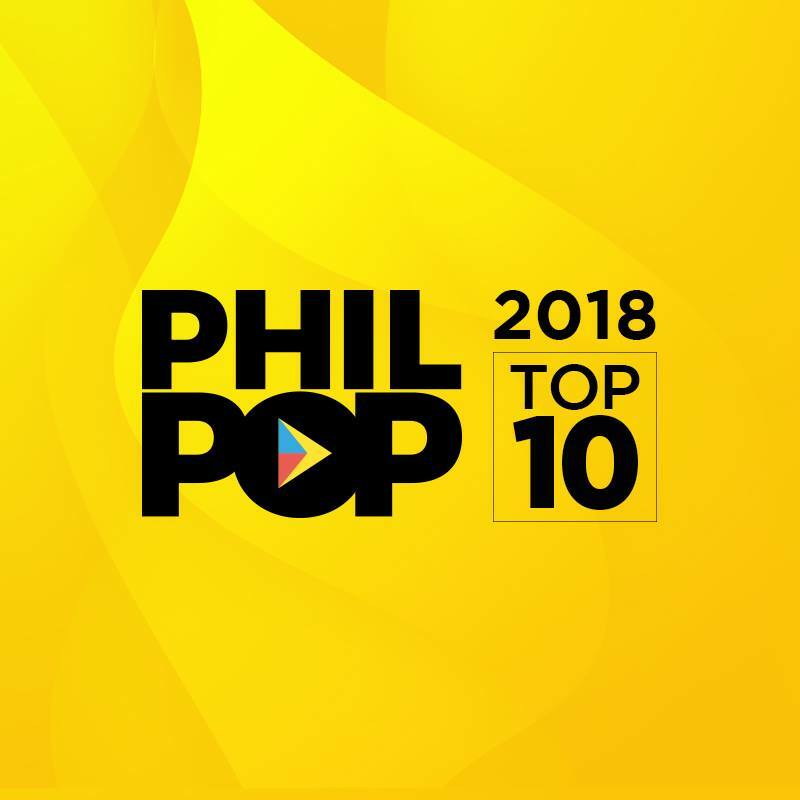 Instead of focusing on personalities, the latest edition banks on envelope-pushing compositions that have the potential to penetrate the local music market and create a lasting impression to the Filipino audience. 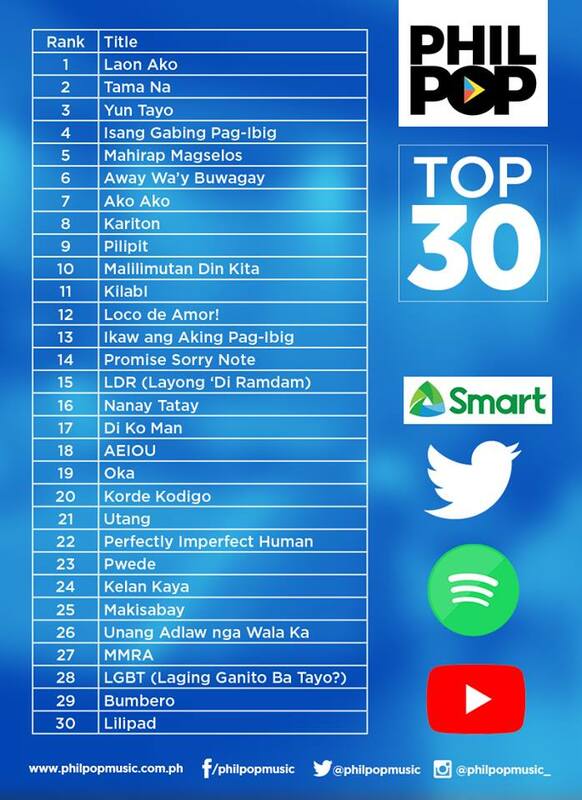 The official announcement of the top 10 finalists happened during the late primetime spot of the Pinoy Playlist Festival last October 17, 2018 at the Sunlife Amphitheater in Bonifacio Global City, Taguig. 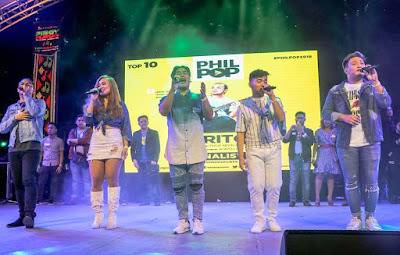 Festival curator Moi Ortiz also awarded PhilPop Foundation headed by PhilPop Board Member and 2018 Festival Chairman Ryan Cayabyab, PhilPop Vice President Patrick C. Gregorio, and PhilPop Executive Director Dinah Remolacio a Certificate of Appreciation for continuously pushing the boundaries of Filipino music through regional inclusivity and for giving voice to homegrown talents who have the potential to make it big in the local music industry.